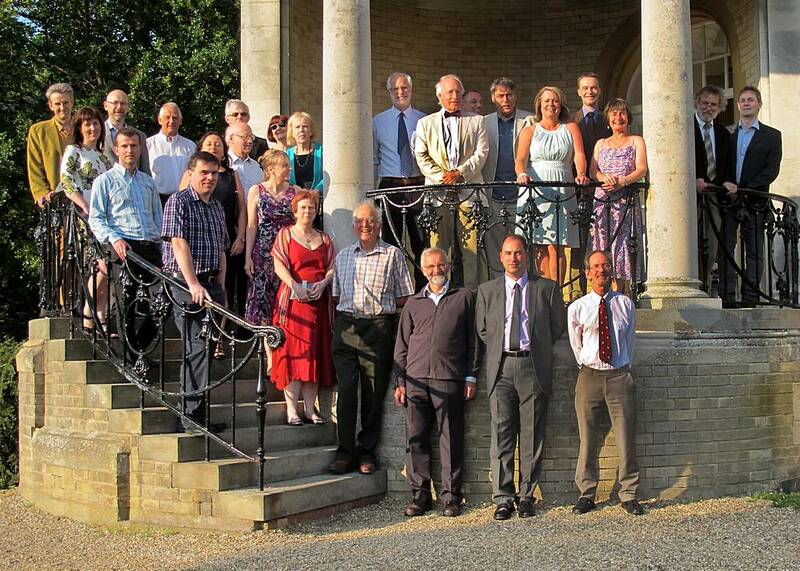 Some of the members of Atomic Spectrometry Updates at their Annual Board Meeting in Hertfordshire on the 2nd July 2015. The members, starting at the foot of the steps, working up the steps and across the balcony, are: Mike Foulkes, James Murphy, Phil Potts, Jeff Bacon, Christine Davidson, Owen Butler, Bridget Gibson, Jorge Pisonero, Marina Patriarca, Raquel Garcia, Simon Branch (at top of steps), Martin Day, Andrew Taylor, Mike Sargent (in front), Andy Ellis (behind), Clare Smith, Margaret West, Steve Hill, Doug Miles, Robert Clough, Les Ebdon, Christine Vanhoof, Warren Cairns, Jenny Cook, Julian Tyson and Ian Whiteside. The 2015 ASU Annual Editorial Board meeting and Dinner was held on Thursday 2nd July at Ponsbourne Park Hotel, Newgate Street Village, Hertfordshire, SG13 8QT. A workshop in the morning focussed on how the ASU abstracting system operates, and how each Topic Group distributes abstracts and decides which ones to include in their Update. Time was also set aside for "mini topic group meetings". The formal Board meeting took place in the afternoon, followed by the annual dinner.